This past December 1st was World Aids Day, which is a day where people across the globe unite to remember those who have died of the Aids virus and to show support to those currently living with this disease. While strong scientific advances have been made in HIV treatment, there are still a significant number of people living with HIV/Aids all over the world. 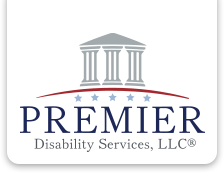 The Social Security Administration (SSA) released an Emergency Message (EM) on December 2nd, 2015 reporting that on December 1st, 2015 approximately 18,773 beneficiaries did not receive their recurring Supplemental Security Income (SSI) check. SSA discovered that this was a result of a coding issue that prevented the release of payments. According to this message, the payments were correctly annotated but not included in the payment files sent to the Department of Treasury. Over the past six months, a heated debate has raged on over President Barack Obama’s push to extend gun control laws to certain recipients of Social Security Disability benefits. The LA Times published an interesting article regarding this push on July 18, 2015. According to this article, the Obama Administration is, “seeking to bring the Social Security Administration in line with laws regulating who gets reported to the National Instant Criminal Background Check System.” More specifically, there is believed to be a pocket of Social Security Disability beneficiaries who are unable to manage their affairs due to “marked subnormal intelligence, mental illness, incompetency, condition, or disease.” Since this group is not easy to immediately identify, the targeted group would be anyone who has a representative payee receive the benefits on his or her behalf. A representative payee is a person or organization appointed by the Social Security Administration for anyone who cannot manage or direct the management of his or her benefits.